The Omnitrans sbX E-Street Corridor Bus Rapid Transit Project is the first-of-its-kind express service to be constructed in the Inland Empire. The sbX service, using state-of-the-art 60-foot buses powered by compressed natural gas, will travel a 15.7-mile corridor between northern San Bernardino and Loma Linda. sbX will include 16 art-inspired passenger stations at key university, government, business, entertainment and medical centers, as well as four park-and-ride facilities. The sbX service is one component of a larger, intermodal public transit system that will serve the San Bernardino Valley, reducing vehicle congestion while providing an environmentally friendly transportation alternative that is sophisticated, convenient, cost effective, and time efficient. For more information, go to the sbX website. 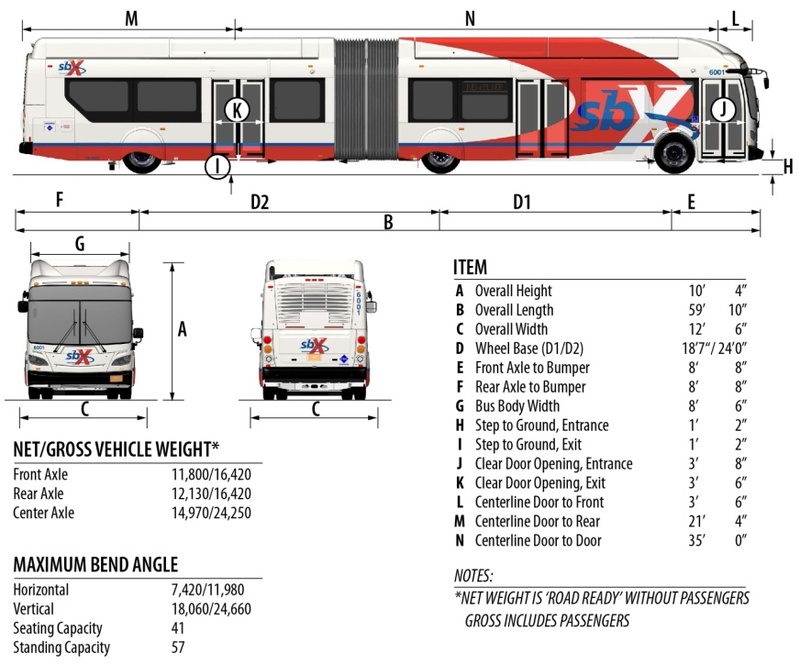 The sbX system will use specialized 60’ articulated vehicles specially designed with five doors, to allow for boarding at center running and side-running stations. The vehicles feature a low floor for level boarding at sbX stations to allow for quick boarding, and also contain a wheelchair ramp for passenger use. 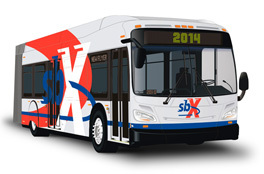 The vehicles have a stylized wrap, and prominently feature the sbX brand. Vehicles are designed for comfort and a smooth ride and hold approximately 96 passengers at maximum capacity with up to eight bicycles on board. In the future, 60’ articulated vehicles may be used for local service, but with the Omnitrans local fixed-route branding on the vehicle rather than the sbX branding. Interiors are characterized by high-quality amenities, such as comfortable seats, better lighting, and real-time arrival and information displays. 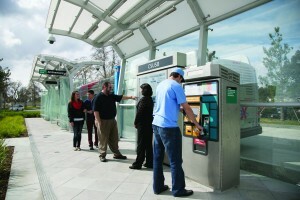 For information on the design of sbX stations, click here.